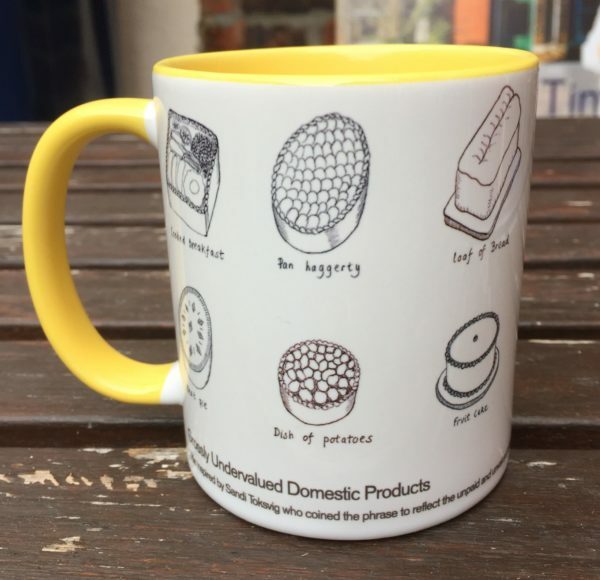 These new limited edition mugs, with a fetching yellow interior, feature Bobby Baker’s drawings of the Grossly Underestimated Domestic Products on display in the Great & Tiny War house. They make an excellent gift for Great & Tiny souvenir hunters or the grossly undervalued person in your life. In Britain the First World War lasted for 1,567 days. 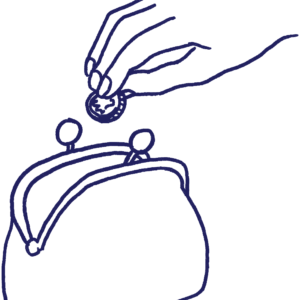 If you could afford to eat three meals a day that would make a total of 4,701 meals. In Great & Tiny War each of these is represented in miniature, a celebration of the undervalued, unseen and unacknowledged domestic labour that continues every day – even through war and conflicts. Sandi Toksvig coined the term Grossly Undervalued Domestic Product to shine a light on this undervalued labour in her Adam Smith economics lecture earlier this year. You can hear the whole speech here. The mugs make an excellent gift for Great & Tiny souvenir hunters or the grossly undervalued person in your life. Yours for £8 each + p & p.